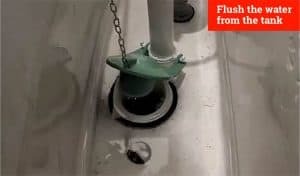 If you have been having trouble with your toilet continuing to run after you flush it or issues with it flushing period, you may just need to replace the flush valve to resolve those issues. 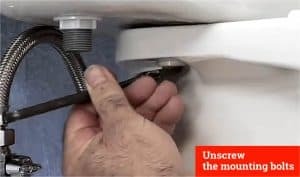 A flush valve or flushometer controls the water that flows from the tank on the back of your toilet to the toilet bowl. As it has several pieces that need to function perfectly in order to work, if you have any issues it is most likely coming from this piece. 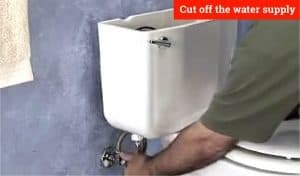 When the flush valve starts to work improperly, you will need to replace it. Not only will replacing the flush valve helps your toilet to flush more efficiently, but it will also save you money on your water bill! This is a lengthy process, so make sure you have plenty of time to do the job before you start! 1. Cut off the water supply to the toilet first, as we need to remove the tank and do not need water everywhere! 2.Next, you will want to flush the toilet to get as much water out of the tank as possible. 1. It is recommended you also use paper towels or a sponge, that can be thrown away, to soak up the remaining water in the tank. 3. 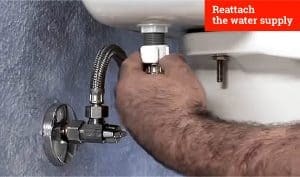 Now that the water is gone, you should disconnect the water supply tube from both the wall and the toilet tank. 1. 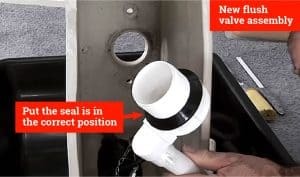 You will probably need a wrench for this part and it’s strongly suggested you place a small bucket underneath as some remaining water may come from the tubing. 4. Next, you will need to separate the toilet tank from the rest of the toilet. 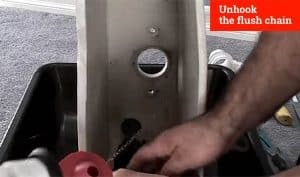 You can do this by unscrewing the mounting bolts within the base of the tank using a ratchet wrench and flat head screwdriver. 2. Use a flathead screwdriver to hold the tops of the screw in place while using the wrench to unscrew the bolt on the bottom. 3. 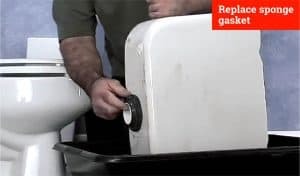 When you go to reassemble, this will be a good time to replace the bolts as well as the sponge gasket located on the bottom of the tank (flip the tank over to do this). Keep in mind that any of these parts could be causing issues and you might replace them as well since you’ve got it all taken apart! 5. 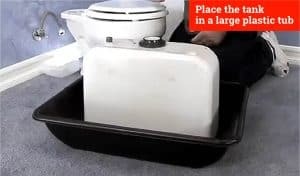 Place the tank in a large plastic tub. This will make it easier to maneuver and decrease the chance of losing any small parts. 1. The Flush Valve is located inside the tank on the back of the toilet. 3. Since this process is pretty hands-on, it is a good idea to go ahead and replace all parts as you go along which is why we recommend purchasing the entire kit. 4. Move the tank so that it is on its side within the large plastic tub. 2. 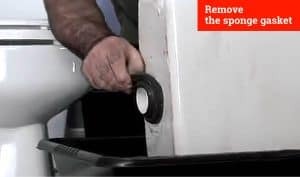 Then unscrew the locknut from the outside of the tank, using your hand or a wrench. 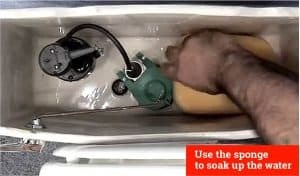 By holding onto the flush valve set inside the tank, you may make this part easier. 5. 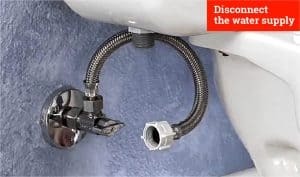 Now that the whole flush valve kit is free of the tank, just unhook the flush chain and remove it altogether. 6. It’s time to get the new flush valve assembly together and install it where the old one came from. 2. 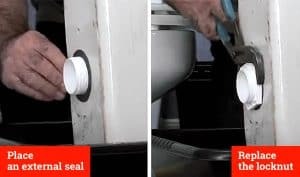 Before replacing the lock nut on the outside of the tank, place an external seal around the hole and then the locknut. Use your hand and a pair of rib joint pliers to make sure it is nice and tight to prevent any future leaks! 7. 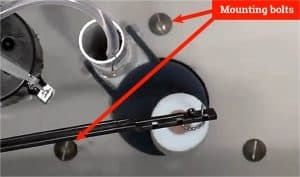 Inside the tank, attach your new (or the old) flapper valve to the overflow tube in the base of the tank, then the chain to the flush lever so that it will work properly! 8. 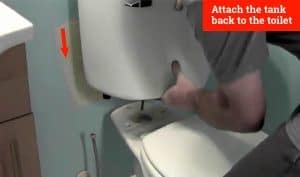 It’s now time to attach the tank back to the toilet! 1. If you have new washers, bolts, and nuts this is a good time to use them! These pieces in particular can erode overtime, so it’s a great idea to go ahead and replace! 2. Line up the new bolts with their corresponding holes and hand tighten them, then use your screwdriver and socket wrench to get them nice and tight! 9. At this point, you may want to trim the mounting bolts for cosmetic reasons. 10. Finally, reattach the water supply hose and turn on the water supply. It’s time to check out all your hard work! Remember that it will take a few seconds, minutes, for the tank to refill with water. 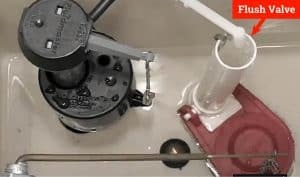 While it does, visually ensure that there are no leaks! It is now time to enjoy your optimal flushing toilet! 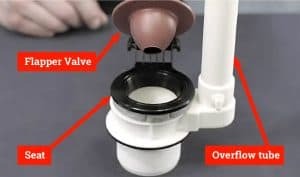 Even though replacing a flush valve on a toilet takes a good amount of time and effort, the good news is that it should not need to be done often! As always when you do a large job like this, it is best to go ahead and replace all parts along the way to prevent any future problems. Particularly when it comes to parts that are consistently submerged in water as this adds to the wearing down. 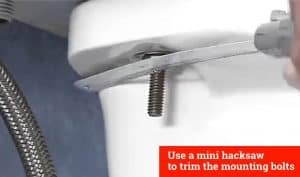 We hope you were able to successfully replace your flush valve by following our How To!